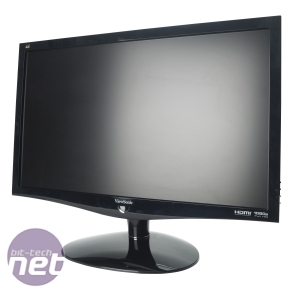 ViewSonic has arguably fallen off its perch in the TFT monitor market in recent years. 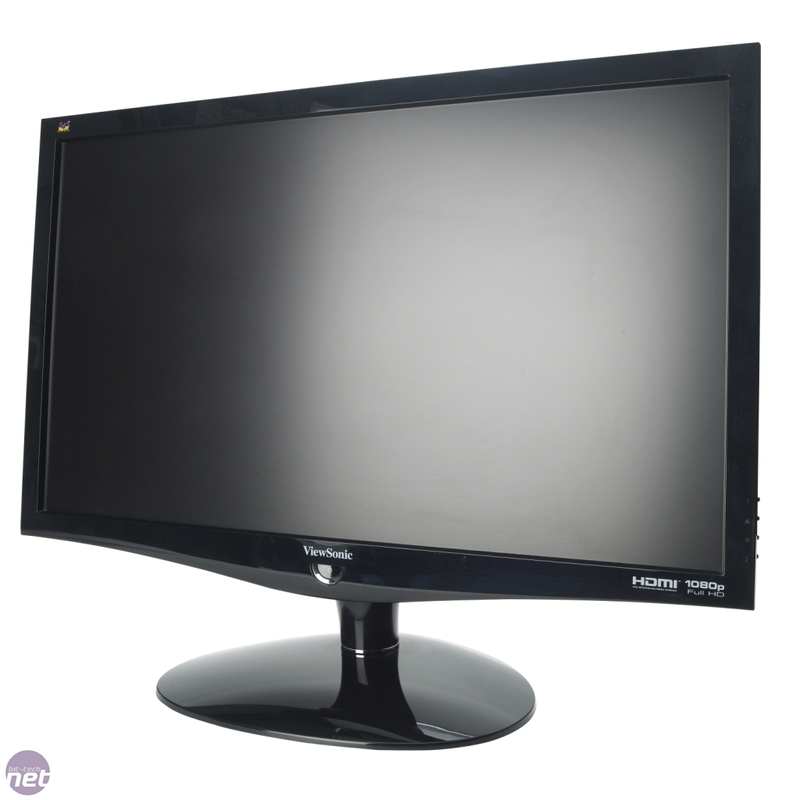 Its monitors were once the perfect choice for gamers, being affordable yet capable and were the first TFTs for many enthusiasts making the move from their desk-hogging CRTs. 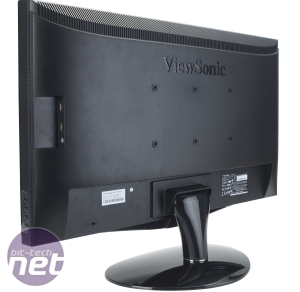 As response times dipped below 16ms and monitors went widescreen, though, the competition became pretty fierce and we've only seen one or two monitors from Viewsonic in the last few years that were worth considering at all. Perhaps its because ViewSonic has been championing 3D displays which have pretty dire image quality. The VX2739WM continues to expand the sleek-looking, TN panel-based range of monitors that ViewSonic has been churning out for a while. The main selling points are a 1ms response time (the fastest we've ever seen claimed for a TFT) and also a large 27 inch 16:9 viewable screen, although the native resolution is only 1,920 x 1,080, unlike the Dell U2711 which, although it had an aspect ratio of 16:10, managed to cram a fabulous 2,560 x 1,440 panel into it's 27 inch diagonal area. The looks are probably the most pleasing part of the exterior. The stand is simple, flimsy and not particularly effective at keeping the huge panel still, with the slightest knock to the desk resulting in a noticeable wobble. This is made all the more evident due to the glossy bezel. It's not going to topple over backwards if you sneeze, but it would have been nice to see a sturdier stand on such a large monitor. There's also little in the way of adjustment, with just 25 degrees of tilt available. With no height adjustment available, the idea is you tilt the screen to your liking. The thing is, monitors are best viewed head on with your head level. Instead you'll need to find some magazines to stack under the VX2739WM's stand to raise it if necessary. If it's too high to start with, well you're stuck. 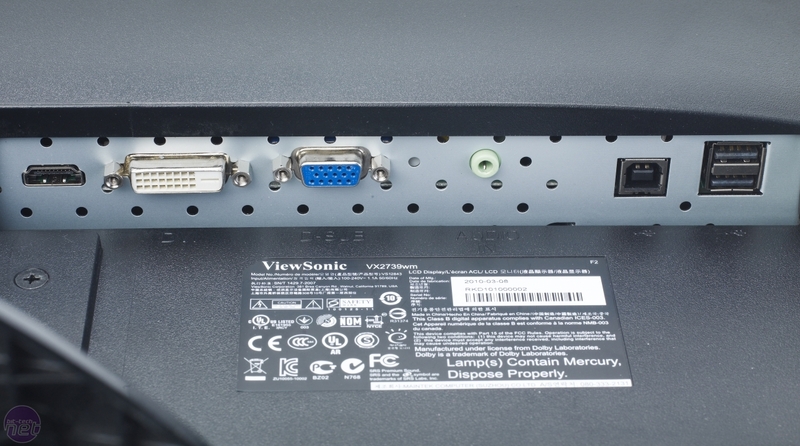 It really is a cardinal sin given you'll be using the monitor every time you use your PC. With this fact in mind, the lack of height adjustment means you're taking a risk as to whether you'll find it comfortable and we suspect for some, the VX2739WM just fell off the end of your shopping list. There are enough inputs to satisfy most people's needs though, including HDMI as well as dual-link DVI with HDCP support and D-sub. There are four USB 2 ports, two on one side of the bezel with the other two on the base - a nice touch. There is a pair of speakers, although as with all monitor speakers we've come across, they're not amazing.